Kerr, Joan L. (nee Craven) (June 7, 2018). Beloved wife to David C. Loving mother to Neal (Wendy), Tom (Mary), and Lisa Kerr. She will also be missed by her granddaughter Ashley. Joan was a longtime resident of Oreland. She was a graduate of Springfield Township High School. She worked for Penn Salt Company in Philadelphia. 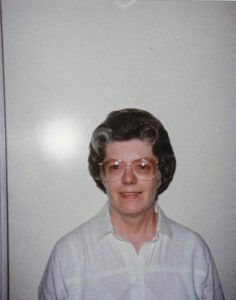 Joan was a past member of Oreland Baptist Church. She had a deep love for Music, the Seashore, Lighthouses, and Scottie Dogs. Relatives and friends are invited to Joan’s Memorial Service Wednesday, 6/13, 11am at Craft Funeral Home of Erdenheim, 814 Bethlehem Pike. Where friends may call 10am. Interment private. In lieu of flowers contributions in Joan’s name may be made to the charity of your choice. Our prayers and sympathy are with you and your family in these times.